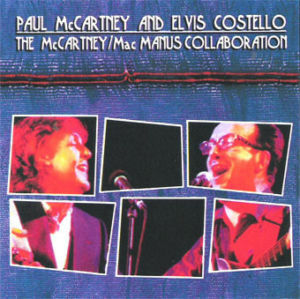 Somewhere out there, an album exists, featuring the words, music and vocal stylings of Paul McCartney and Elvis Costello. Recorded in 1987 and 1988, but never released, these songs...some of them, at least... trickled out and found homes on records such as Costello's "Spike" and "Mighty Like Rose" and McCartney's "Flowers In The Dirt" and "Off The Ground," as well as some single b-sides. What we have here are the demos. If you've never heard them before, then this should be a treat. I personally find these 8 tracks to be some of the boys' finest work. I've revisited these tracks time and again, and each and every time I am affected by Paul and Elvis' vocal dynamic. I once read an interview with Costello, though sometimes I remember it as part of an MTV special, where he says that McCartney seemed to deliberately give him vocal parts that sounded like Lennon. I can hear it, especially on "Tommy's Coming Home" and "My Brave Face." Thanks for the zip, I will be listening later. I remember hearing (or reading) that comment as well...and, if I recall it right, he added that it spooked him a bit--which may be why the bulk of these collaborations were never released. They sure do sound great together, though. 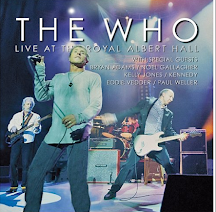 Sal - I've got a longer version of this, with a cool array of live recordings (Elvis doing Mc/Mac songs, Beatles songs and even "Step Inside Love," and Paul doing various songs live. Coolest of all, a recording of McC/Mac performing together for some Prince Charles fundraiser (from '91 or so I think) on "One After 909," "Mistress and Maid," and some other b-sides, etc. Also not to overlook: The '87 b-side, "Back On My Feet Again," which renewed my faith in Paul back then...another Mc/Mac song that is Beatle-esque to the extreme. Not stupid at all. The demos are their own thing. Makes perfect sense to put them up on their own. Thanks again so much for this, and for the continued entertaining writing and debate. Glad you didn't end the blog. I'd hate to only debate you or discuss music passionately in my car. Hope you're doing well !! These songs reinforce my belief that a good collaborator still brings out the best in McCartney. Thanks for sharing. Some of his best work in years, in my IMO.